Research and teaching postdoc in the population genomics of mutualism « Nothing in Biology Makes Sense! One of your future colleagues in the Smith Lab, hard at work in the field. Friend of the blog—and longtime collaborator of mine—Chris Smith recently landed an NSF CAREER grant for new research on the causes of evolutionary divergence within the Joshua tree-yucca moth mutualism—and he’s looking for a postdoc to help with it! The proposed work will take advantage of new genomic resources for the genus Yucca—Joshua tree population genetics is about to get a lot more powerful than the 10 microsatellite loci I used for my dissertation research. And it will involve fieldwork in the Mojave Desert, which is objectively one of the most beautiful empty spaces on the map of North America. Chris is on the faculty of Willamette University, which is an undergraduate institution, so the postdoc position is also a unique opportunity to do basic research in close coordination with an undergraduate teaching program. The complete job description, and instructions on how to apply, are after the jump. As part of a project funded through the NSF CAREER program, the Smith Lab at Willamette University is seeking a highly talented individual to participate in a unique post-doctoral training program that will prepare scientists for careers that integrate teaching and research. 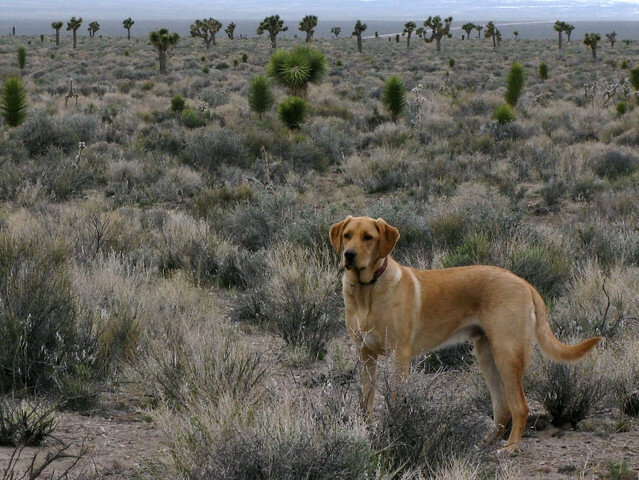 The position is part of a multi-year study of coevolution in yuccas and yucca moths that will involve field and laboratory components including high-throughput SNP genotyping, association mapping, and pollination experiments to estimate the strength and form of selection acting on plant and pollinator phenotypes. Concurrent with the research, the postdoctoral scholar will mentor undergraduate scientists and will receive training in SNP genotyping and analyses of population genomic data through a rotation in Matt Streisfeld’s lab at the University of Oregon. The position will culminate in a temporary appointment as a visiting assistant professor at Willamette, during which time the postdoctoral scholar will teach a course that brings research into the classroom. Other training opportunities will include the option to participate in the Project Kaleidoscope (PKAL) and Council on Undergraduate Research (CUR) national leadership retreats. A PhD in evolutionary biology or a related field and an enthusiastic interest in teaching and mentoring undergraduates are required. (ABD candidates will be considered, but must complete their degree before the position start date). In addition, preference will be given to applicants with one or more of the following qualifications: 1) expertise in bioinformatics, particularly SNP genotyping and next-generation sequencing techniques, 2) an interest in plant / insect interactions, particularly pollination biology, 3) experience with field research, especially experience working under challenging field conditions, 4) expertise in population genetics, especially approaches to detecting selection, 5) expertise in quantitative genetics, especially association mapping, 6) experience with undergraduate teaching and mentoring undergraduate researchers. Willamette University is a small, residential, liberal arts college that is dedicated to excellence in teaching and research. Recognized by US News as among the best liberal arts colleges in the country, Willamette is located in the heart of Salem, Oregon, across the street from the State Capitol. Salem is a diverse, multicultural city of 156,000 people, less than an hour’s drive from Portland, Eugene, the Cascade Mountains, and the spectacular Oregon Coast. The Streisfeld Lab (www.uoregon.edu/~mstreis) in the Institute of Ecology and Evolution (IEE) at the University of Oregon in Eugene offers a broad and interactive environment for research in plant evolutionary biology. Home to leading innovators in RAD seq and SNP genotyping, IEE offers unparalleled opportunities to gain expertise and training in cutting-edge genomic technologies. Salem and Eugene are both nestled in Oregon’s Willamette Valley, a nexus for both urban culture and outdoor recreation. The region boasts opportunities for skiing, whitewater kayaking, and mountaineering, alongside one of the best wine-growing regions in the world, a vibrant arts and music scene, and internationally-recognized centers for biotechnology and research medicine. The position is available for one year with the possibility of renewal depending on research progress. The anticipated start date of March, 2013 can be adjusted based on the needs of the candidate. To ensure full consideration, please submit a cover-letter describing research and teaching interests/experience, a CV, and three letters of recommendation (to be uploaded by referees) by November 30, 2013. The position will remain open until filled. If you need assistance with the application process, please contact Linda Flamenco, lflamenc@willamette.edu or 503.370.6210. Believing that diversity contributes to academic excellence and to rich and rewarding communities, Willamette is committed to recruiting and retaining a diverse faculty, staff and student body. We seek candidates, particularly those from historically under represented groups, whose work furthers diversity and who bring to campus varied experiences, perspectives and backgrounds. This entry was posted in coevolution, genetics, pollination, science careers and tagged Joshua tree, postdoc. ← Bacteria, Circumcision and HIV. Oh my!